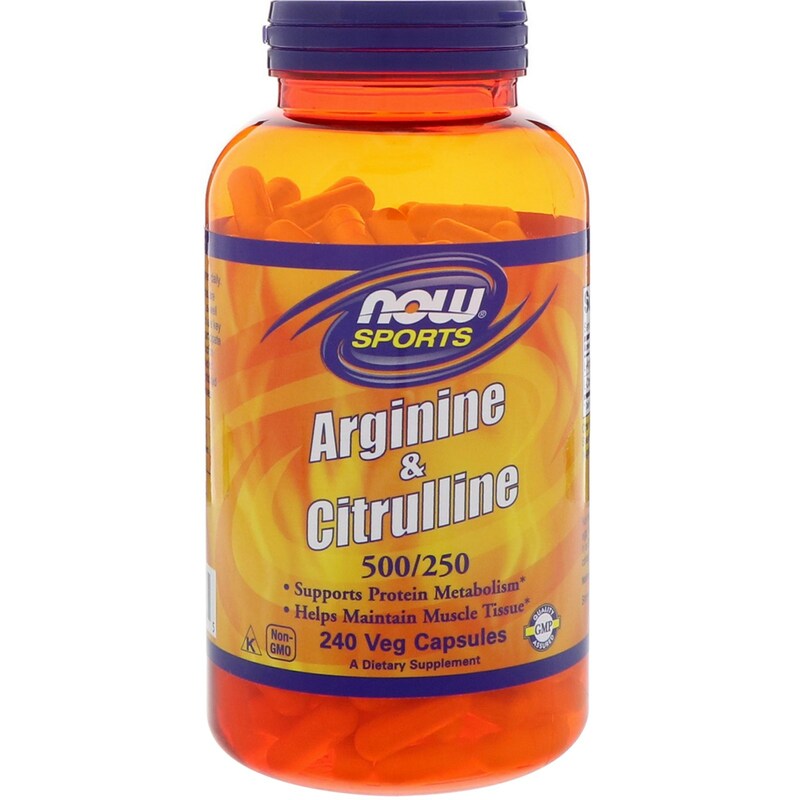 Arginine and Citrulline are two amino acids that are integral to protein metabolism and utilization, as well as to the maintenance of muscle tissue. Both are key intermediates in the urea cycle, where they participate in the detoxification of ammonia via the production of urea. In addition, any arginine not converted to urea enters general circulation where it is distributed to various tissues and metabolized for other uses such as protein synthesis. 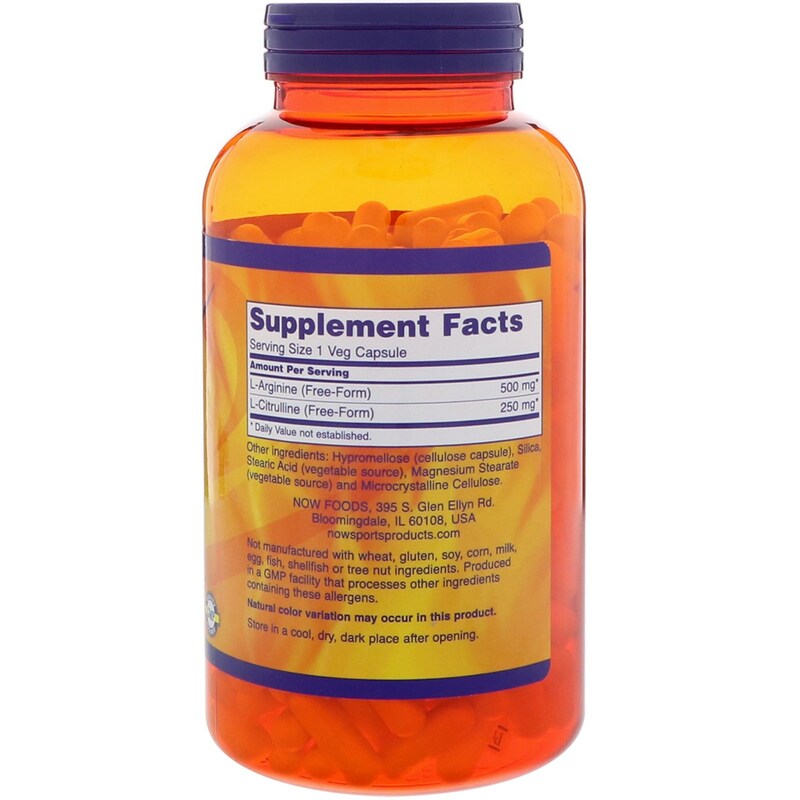 Take 1 capsule 2 times daily. 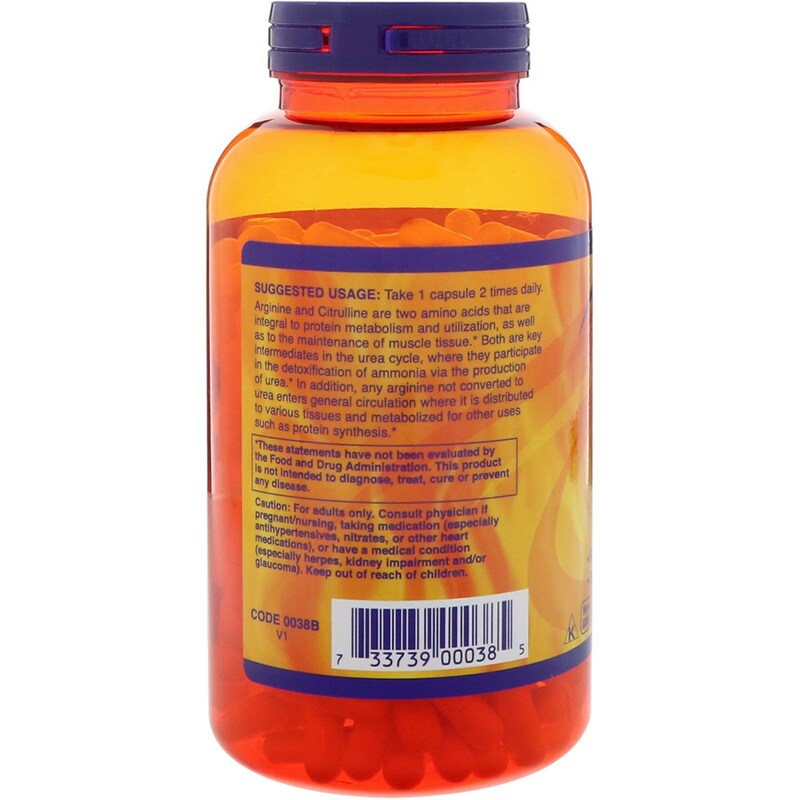 Hypromellose (cellulose capsule), silica, stearic acid (vegetable source), magnesium stearate (vegetable source) and microcrystalline cellulose. Caution: For adults only. Consult physician if pregnant/nursing, taking medication (especially antihypertensives, nitrates, or other heart medications), or have a medical condition (especially herpes, kidney, impairment and/or glaucoma). Keep out of reach of children.